Santa Claus Arriving at Dumbarton Oaks, 1998. Dumbarton Oaks Archives (AR.PH.Misc.309). Dumbarton Oaks has a long-standing tradition of getting into the seasonal spirit by throwing a holiday party. Staff, fellows, friends, and family all attend and for several hours enjoy food, drink, and lively conversation in the splendor of the historic music room. 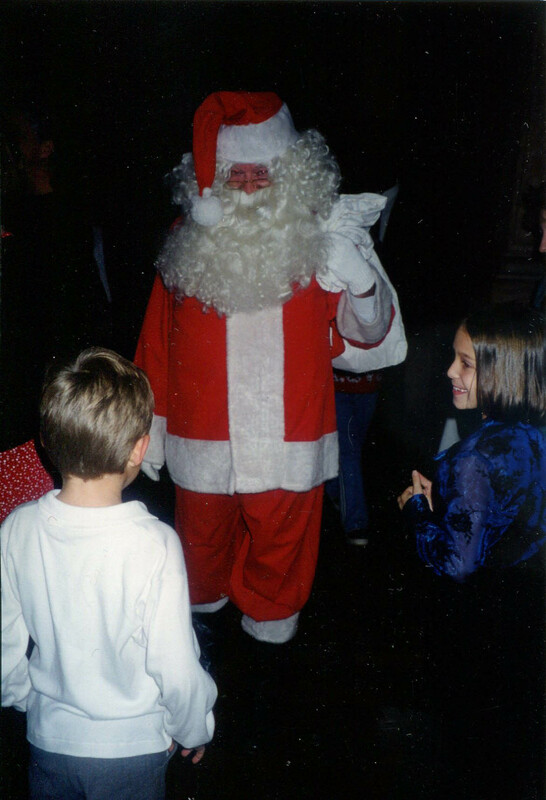 In 1998, during the tenure of Director Ned Keenan (Edward L. Keenan, 1935–2015), Santa Claus made an unexpected appearance at the holiday party. 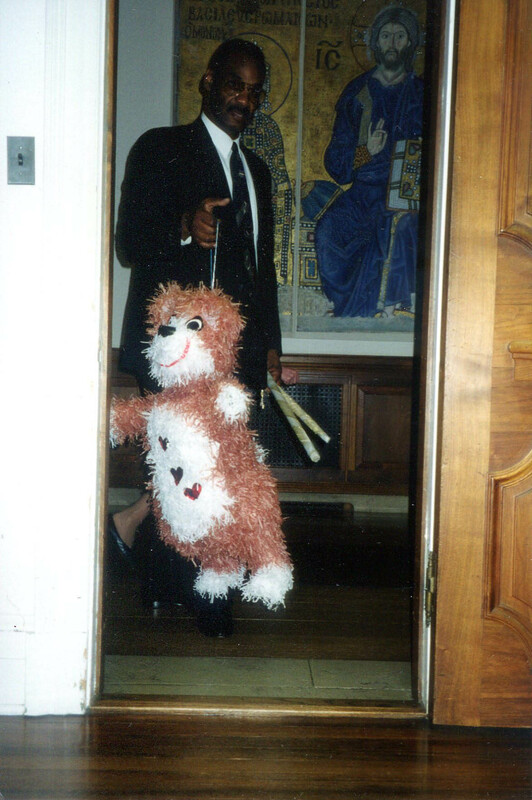 Ned, dressed in suit and tie, had just left the room after greeting his guests when Santa walked down the music room stairs followed by a DO head security officer carrying, of all things, a piñata. Upon entering the music room, Santa exclaimed, predictably, “ho-ho-ho!” He waved to the party guests, wished them all the very best of the season, and then invited the children in attendance out to the music room terrace. There they took turns swinging a stick at the piñata—a feat made all the more difficult by the unpredictable position of the ever-moving bear—until the inevitable occurred, and all were happy with gifts and candies. With hindsight, Santa’s appearance at Dumbarton Oaks seems foreordained. Where else would the spirit of Nicholas of Myra, the fourth-century Greek saint and bishop, arrive with a piñata, the offshoot of the clay pot that the Aztecs had broken with a club in mid-December to honor the birthday of the god Huitzilopochtli? The Dumbarton Oaks Archives has images (analog and digital) of holiday parties from 1996 to the present.